— Donn Eisele became the thirtieth person, worldwide, to orbit the Earth as a member of NASA's first crew to launch aboard an Apollo spacecraft in 1968. An officer in the Air Force, test pilot and later Peace Corps director and businessman, Eisele, 57, died 29 years ago on Friday (Dec. 2) without putting his experiences as an Apollo 7 astronaut to print, or so almost everyone thought. "It's almost cliché to talk about 'lost' documents — and this one was not truly lost. 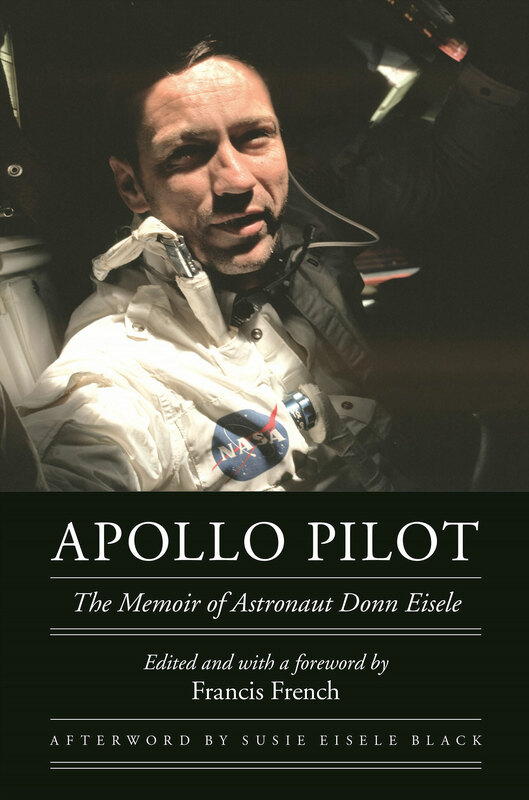 However, it had been forgotten to everyone except Susie Eisele Black, Donn's widow, who may have been the only other person ever to read it until now," said Francis French, the editor of "Apollo Pilot: The Memoir of Astronaut Donn Eisele" (University of Nebraska Press, 2017). 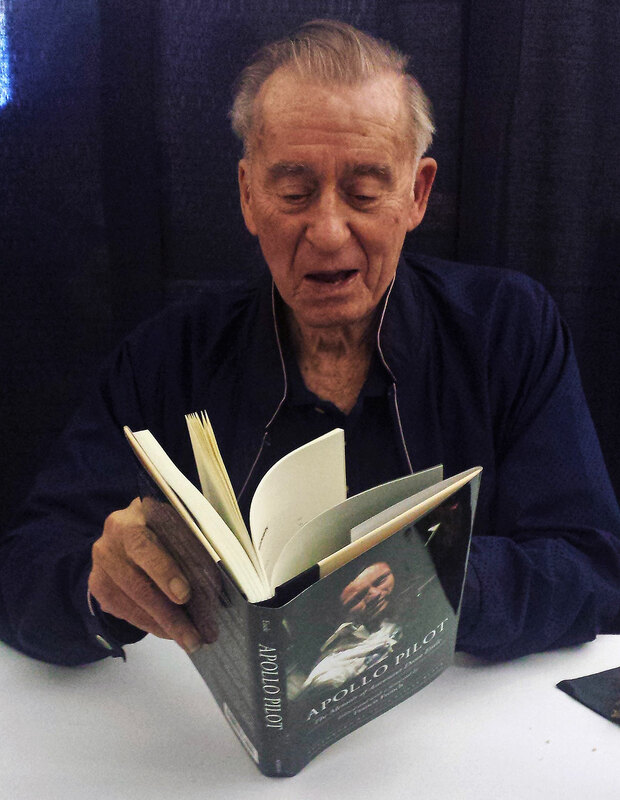 French, who is the education director at the San Diego Air & Space Museum in California and the co-author of three space history books including the autobiography of Apollo 15 astronaut Alfred Worden, had befriended Eisele Black in the course of his research and would stay with her and her husband on trips to Florida. It was during one of those visits to her home that Eisele Black suggested he have a look through the contents of a closet in a spare bedroom. "It was packed with Donn's personal items that had been moved from house to house over the decades," recounted French in an email. "There were packages of flown flags and other items Donn took into space with him on Apollo 7, pieces of the spacecraft and other personal items from his NASA years he had loaned out for display and got back, and piles of personal paperwork." Among the memorabilia was a stack of typed sheets. 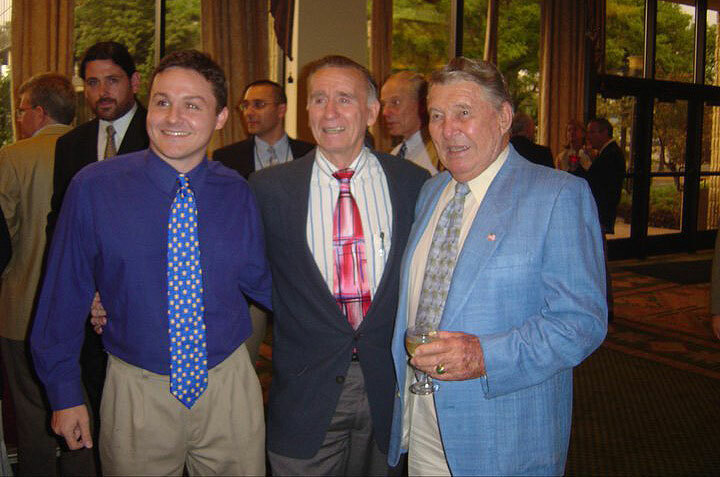 "I realized I had come across something I thought had truly been lost forever, the first drafts of Donn's memoirs. 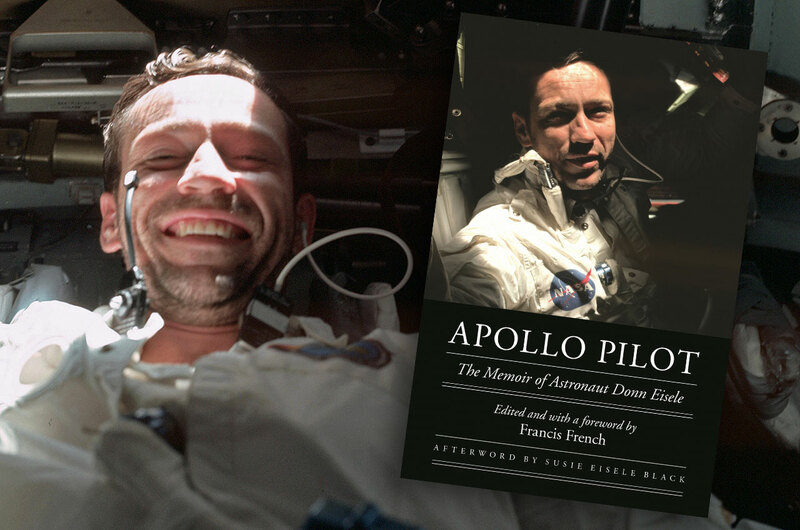 You can imagine my excitement," French told collectSPACE, "a first-hand account of the first Apollo flight that no one else knew about." French co-wrote "In the Shadow of the Moon" (University of Nebraska Press, 2007), his second title, in part because he wanted to get to know who Eisele was. "Even space buffs generally misspell his name, and they mispronounce it, too — it's "eyes-lee," by the way," French described. "He was in the middle of some of NASA's most contentious issues: astronaut divorce and disagreements with Mission Control during the Apollo 7 mission. And yet, Donn seemed to have breezed in and out of NASA without leaving much of a memory." 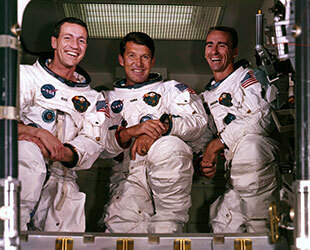 French had the chance to interview and the read the books written by Eisele's crewmates, Wally Schirra (who died in 2007, four months before "In the Shadow" was published) and Walt Cunningham, but here were Eisele's own words, put to paper sometime shortly after the end of the Apollo program in 1973. "To hear the third and final voice, that of Donn's, adding his thoughts, gives some insight. Donn remembers things that Walt remembers quite differently, and I know Wally might also have laughed off," described French. 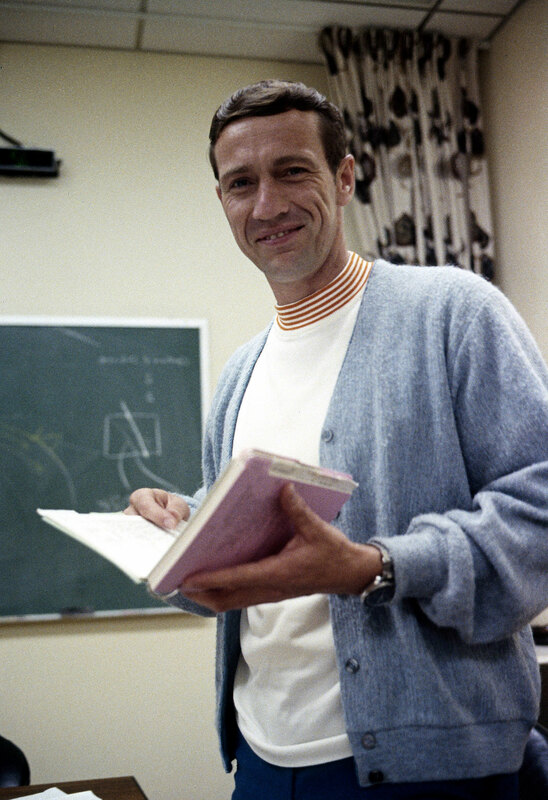 "The fact that he was writing immediately after his NASA experiences gives these words a fresh, contemporary feel that is very difficult for anyone to recall decades later. As such, it makes for not only a fascinating historical record, but also a very raw and fresh personal account." But the manuscript was also incomplete; it was something that Eisele had started but never finished. "The sad thing about the drafts is how much was missing," French noted. "Some pages ended mid-sentence and the next page was missing completely. 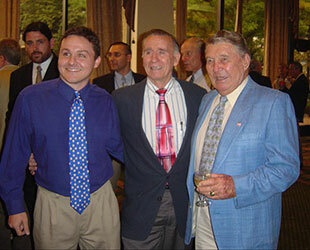 It was also clear that there were many events in Donn's life that he had not yet got around to writing down on paper." "As such, the book can only be considered a snapshot into one part of his life." Would Eisele have finished the book had he not died of a heart attack in 1987? Did he intend for it to be published? These were questions that could never be answered and weighed in French's decision whether to see the book be released. "What struck me most was the blistering anger that Donn had towards some aspects of his NASA career; how his colleagues were lost in the Apollo 1 fire — a crew that he was briefly a member of," French said. 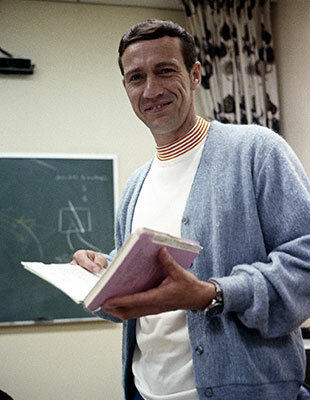 "He also was pretty detailed about some of the scandalous things astronauts got up to when no one was looking." "Also, I realized, that his account of the flight incorporated conversations that did not match the mission's transcripts. Clearly, he was trying to take a more novelistic approach and give readers a sense of what was said in space, rather than the actual words," added French. "However, I felt that if I explained these things clearly in the foreword, readers would be forewarned." French decided that for the book to go forward, what was best was a light hand when it came to editing Eisele's own words. "I did my best to very, very gently edit it into a narrative. I tried to keep all of his words, and his intent, intact," French said. "My regret is that he is not still around to talk more, tell more stories, clarify more aspects and tell his whole life story." It was Eisele's widow who ultimately provided French the encouragement to release "Apollo Pilot" to the world. 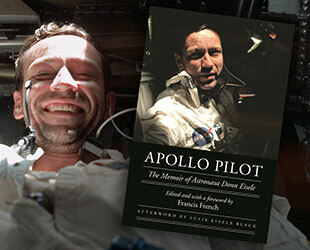 In "Apollo Pilot," Eisele writes primarily about his mission aboard Apollo 7, the first flight of the three-seat spacecraft that on the next flight after his flew the first astronauts to the moon. Eisele shares what most would come to expect from an astronaut's memoirs — the experiences of eating in space, going to the bathroom in space and operating the instruments for which he was trained. Eisele also describes the nature of his relationship with his crewmates, as well as offers some glimpses into his own character, recounting, for example, his pride in capturing a photo of the eye of a typhoon as Schirra and Cunningham were asleep. But there was much more to Eisele's NASA experiences than his one flight into space. 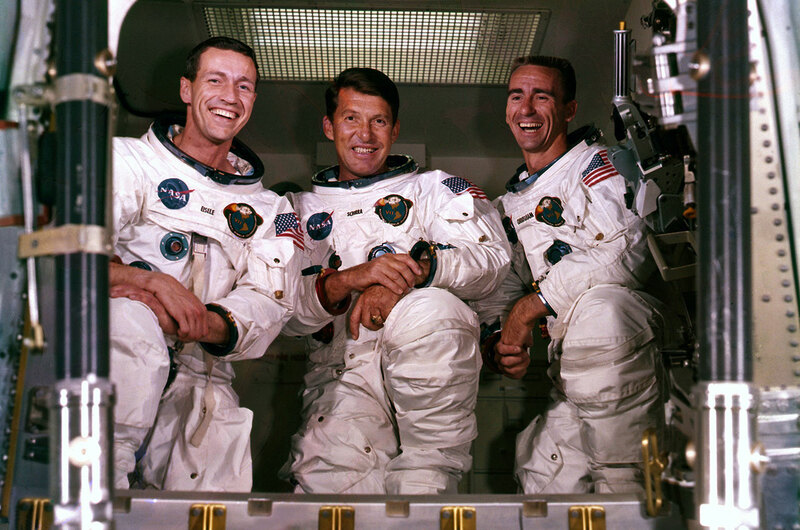 "I would have loved to ask him about working as a backup [crew member] on Apollo 10, and his disappointment at not flying in space again," said French. "There were so many details in the book that were teases into a much bigger story. It would have been fascinating to have talked to him about so much." But even the teases are more than we had before, making "Apollo Pilot" an important addition to the narrative. "There will only be one first Apollo flight. And thousands of years from now Apollo may be the only thing the twentieth century is remembered for, according to some historians," noted French. "To have a personal account from someone who flew the mission is a remarkable historical record." 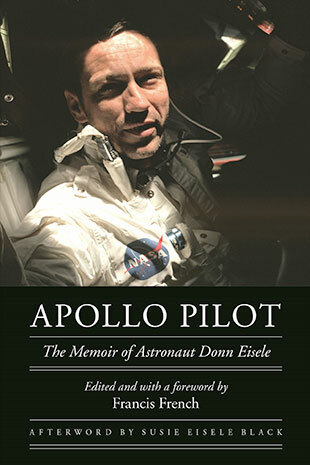 "Apollo Pilot: The Memoir of Astronaut Donn Eisele" is set to be published on Jan. 1, 2017 but is shipping from some booksellers now.